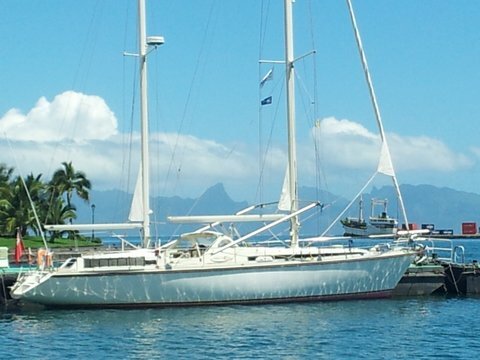 Island Pearl II, a Super Maramau 54 has arrived in Papeete, French Polynesia, en route from the Canaries to Sydney, Australia. This three and a half month delivery passage with 4 x PYD crew is running to schedule. The boat is an ideal Blue Water passage maker that has performed in all conditions. The crew will depart on Thursday for the final leg of the passage to Sydney of 3,500nm.